I have to admit, upfront, that I didn’t finish this book. I plan to (someday), but right now all I really want is to put as much distance between me and Varney. The breaking point was getting to the end of my kindle version and realizing that, besides the 96 chapters contained in it, I had 124 more to look forward to. 124 more chapters filled with more and more repetitive actions, mindless chatter, and a vampire that instead of looking like this:Is more and more looking like a 19th century version of this: “Varney the Vampire or the Feast of Blood” starts promising enough. In the middle of a stormy night, a beautiful maiden is attacked by a vampire and left for dead while her brothers hunt the villain. As the story progresses we learn that the girl, Flora, survived the attack and is now the middle of a convoluted plot designed by her attacker to gain possession of the house her family inhabits. At first the mystery is compelling and I honestly couldn’t wait to read what happened next (hence the 3 star rating) but before long the rhythm of the story starts to become repetitive: Varney does something, a furious mob attacks, he hides. Then he finds some other hideout, another mob appears, and he runs again. Little by little the force of that first chapter, the strength and terrifying power of the monster that is so apparent there dilutes, and by the time I gave up all I had left was the silhouette of a broken man tumbling along and trying to atone for past mistakes. That being said, I also believe that any self-respecting vampire fan should at least take a peek at this story. The influence it has on Dracula is clear, except for the restoring power of moonbeams and the ability of walking in daytime without any decrease in power. Varney (at the beginning, at least) has that hypnotic power over his victims that forces them to submit to his will, and a level of class and distinction that vampires didn’t have before. Too bad that at times he resembles Edward Cullen more than the Lord of Darkness, but at least he doesn’t sparkle.The rest of the characters in “Varney the Vampire” are pretty bland. Flora and her fiancé, Charles Holland, fill the hero and heroine rolls to perfection, even desiring no harm upon the being that almost took away the sanity of said girl despite his many, many crimes. The only exceptions to the rule are Admiral Bell and his best friend/servant, Jack Pringle. Their constant arguments and expressions were a much welcome relief, even if later they also got a bit tedious. But even after everything I said before, one has to keep in mind that this book was published as a series, a “penny dreadful”. 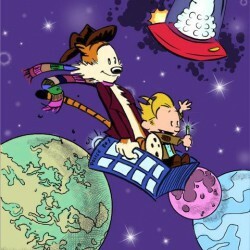 It was meant to entertain and amuse through short chapters and it’s kind of unfair to judge it by today’s standards. It does manage to engage the attention and, with heavy (HEAVY) editing it could have been a memorable vampire tale. 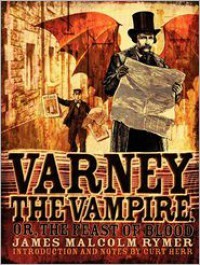 I hope to finish It one day and tell you how the story of “Varney the Vampire or the Feast of Blood” ends.